*We’ve reinvented the way the world heats water. * For the last 100 years, electric water heaters have been designed with one fundamental flaw: they all use metal heating elements to heat the water. To heat a tank full of water, the relatively small heating element must get very hot (up to 800° F.) This causes rust and limescale to form on the surface of the element. Over time, “hot spots” develop, and the elements fail. 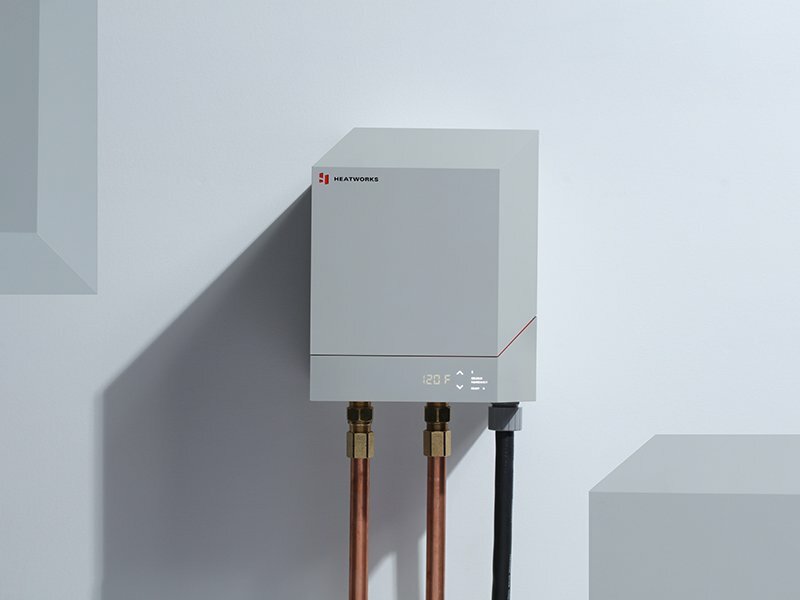 Though tankless electric water heaters instantly heat water as it flows through the device, they use this same archaic technology as tank-type units. The way we heat water in the MODEL 3 Water Heater is completely different. The MODEL 3 uses water as the heating element. Our patented Ohmic Array Technology uses graphite electrodes in place of traditional metal heating elements. Through advanced electronic controls, the naturally occurring minerals in water are excited, directly and efficiently heating the water. Nothing in our units gets hotter than the water itself, resulting in zero scaling and corrosion over time, even if you have hard water or soft water. 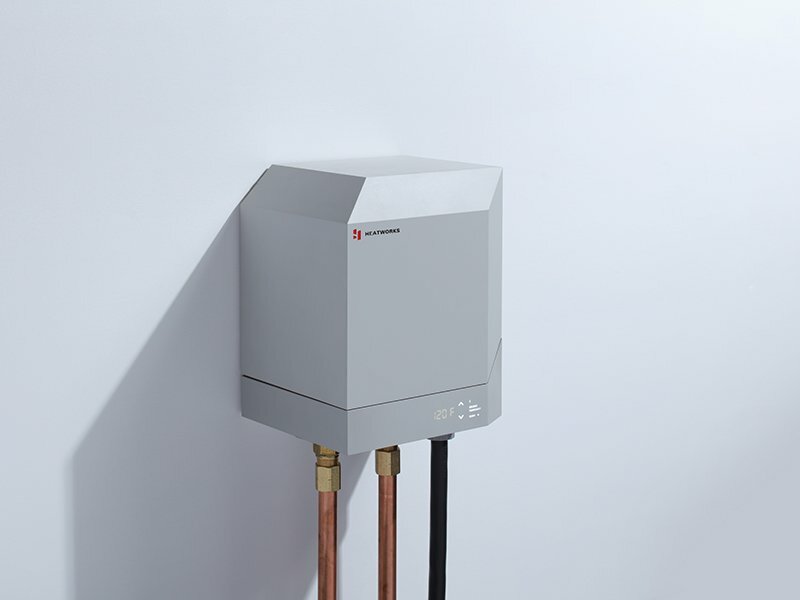 The MODEL 3 is one of the smallest tankless electric water heaters available on the market today. Its compact size allows builders to be able to install it almost anywhere. It requires no drain pan or drain piping, as well as no venting. 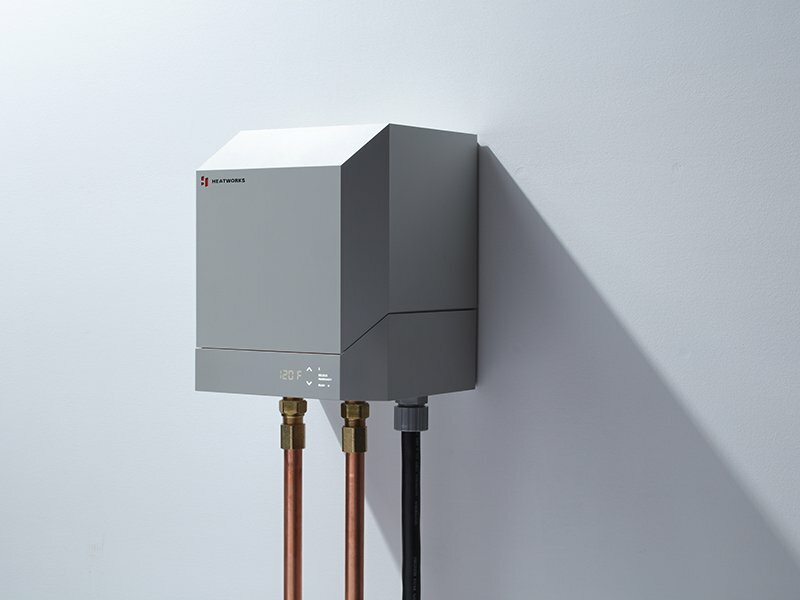 In addition, the MODEL 3 can used in new homes as a whole home water heater or in older homes as a replacement to any gas or electric tank-type or tankless water heaters. It can also be installed in a central location or several units can be installed throughout the home or business for quicker hot water. Or, install a MODEL 3 on the outlet side of an existing electric or gas water heater. It acts as a backup booster, only powering up when the existing system is unable to keep up with household demand. A MODEL 3 (or several) can also be installed downstream of an existing gas or electric tank-type water heater for hot water in seconds. Once the incoming water has reached a temperature greater than the setpoint of the MODEL 3, the unit powers down and lets the storage unit provide the hot water. With the MODEL 3, we have reimagined the relationship between the consumer and their water heater. No longer is it just that loud, over-sized metal hot water storage tank that takes up space in their garage. 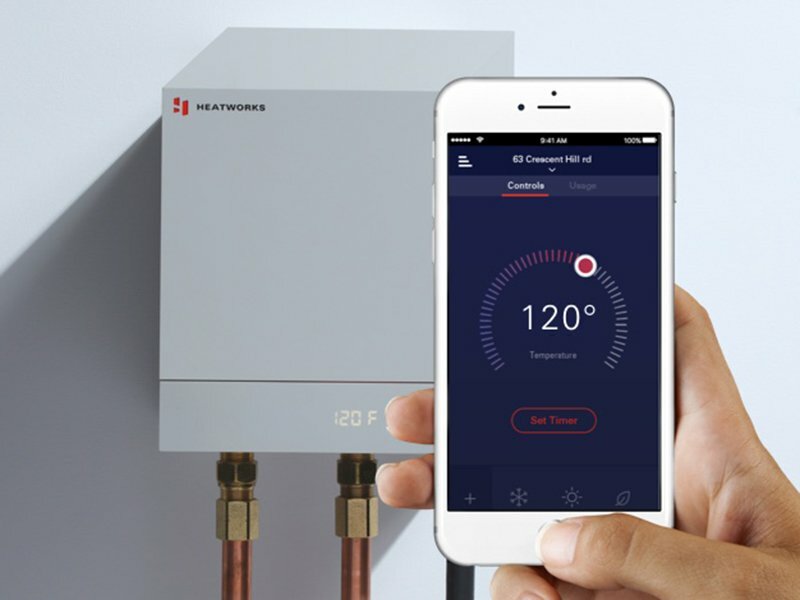 With its sleek, compact design and mobile app, the MODEL 3 provides instant, endless hot water at any desired temperature with unmatched purity, precision and performance. With no heating elements to rust or cause scale build-up, hot water from the MODEL 3 is purer than from any other technology. No scaling means your child’s bath is cleaner and your hot beverage tastes much better. Water is heated instantly, better than +/- .5° F of the temperature setpoint. Imagine a shower at exactly 106° F and 102° F for the kids. Green tea brewed at 175° and coffee at 202° F.
The MODEL 3 is 99% energy efficient, requires zero maintenance and is fully IoT compatible for unsurpassed measurement and control. 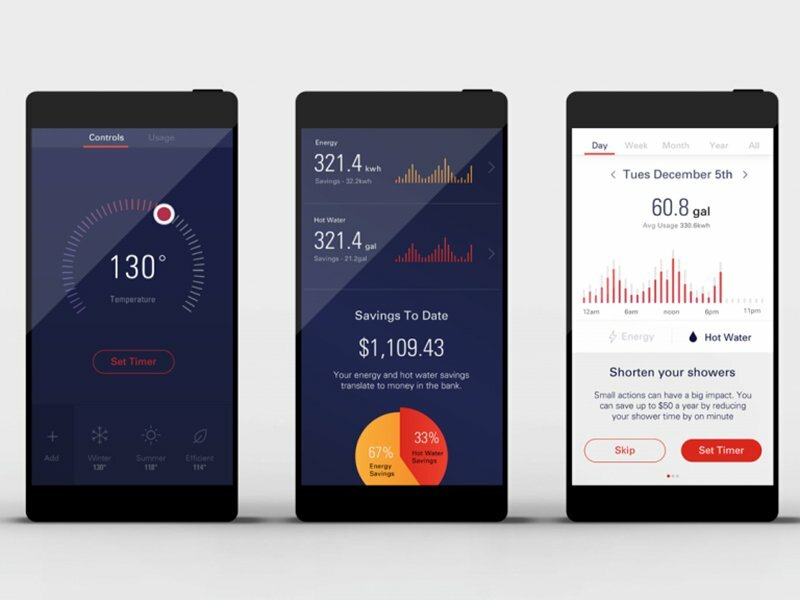 The groundbreaking WiFi-enabled mobile app allows users to monitor things like the amount of hot water and energy used each day in their homes. The MODEL 3 can reduce the average American family’s energy costs by $112/year.